We have so. many. children's books. 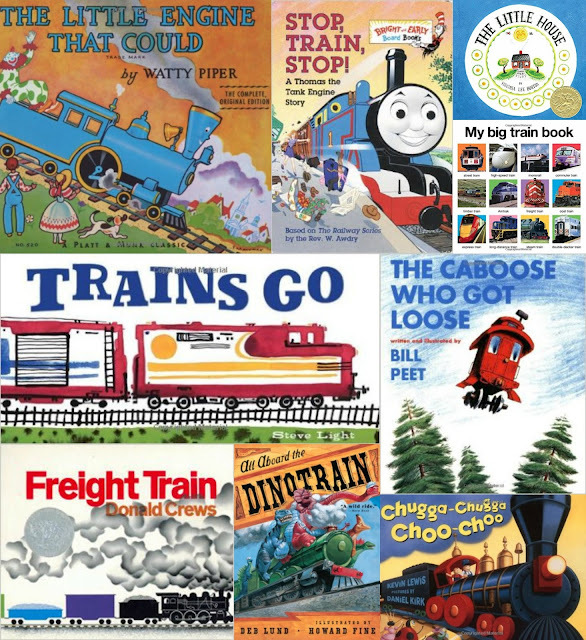 For a really long time, Gus had about 3 books that he would let you read all the way through: Freight Train, Trains Go and My Big Train Book. See a theme? Yah, we did too - and we loaded up on all books train. Here are so of his favorites which now he will sit through. And ask for again and again. I would say that his recent favorite is The Caboose Who Got Loose. It is a really cute book. And long. I'm amazed how he sits for the whole thing and then asks for it again. While The Little House is not a "train" book - Gus loves it - so I thought other kids with similar book taste might too. What are your little ones favorite books? Any train ones I should add to the collection? I'd love to hear from you.